Click on one of the links below to view our menus. Köy is the perfect place to host a small or large function. We have a dedicated private function table which accommodates up to 17 guests and is an ideal space to host a gathering. For larger functions, Köy can accommodate up to 60 guests where an authentic Turkish banquet menu can be tailored to your function and requirements. Köy is also available as a function space where the entire venue may be hired for a cooperate event, wedding or large occasion. Enquire about our finger food menu to have your event catered. At Köy Restaurant we bring a modern take on traditional Turkish dining, offering a mix of contemporary and classic dishes in a welcoming environment. Come in every Thursday night from 6pm-10pm and enjoy $10 Meze & Gözleme and $5 Efes beer and house wine. We’re not Turkin’ around! 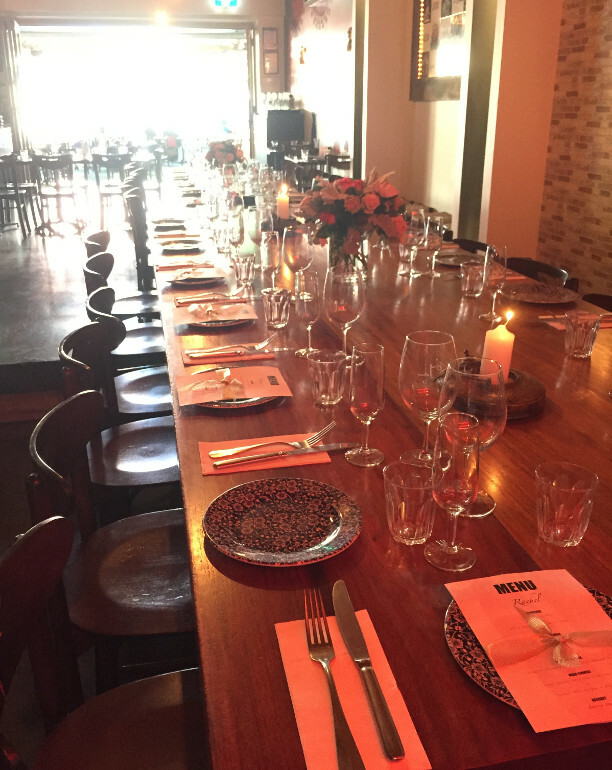 Köy will host a $35 p/p 6-course banquet night on the last Wednesday of each month. The set menu will be selected by our chef monthly and will explore existing menu items as well as new treats. Spots are limited, book now!